Danube Company Limited operates and manages the first ever Hypermarket in the Kingdom of Saudi Arabia. "Danube Hypermarket," as it is popularly known, caters to the everyday needs of the rising number of consumers in the city of Jeddah and the surrounding towns and cities. It now attracts an average of 20,000 customers daily. The goal of the campaign was to test multiple factors for their App Install campaigns which could impact performance and Danube’s strategy moving forward. The first step we decided to take was to define the type of tests we wanted to perform and to apply what we learned from the first iterations to consequent split tests. These advanced features gave Danube even more control over their tests. “Partnering with ROI Hunter to split test has helped us to gain insights with audience targeting and optimize our campaigns more effectively. 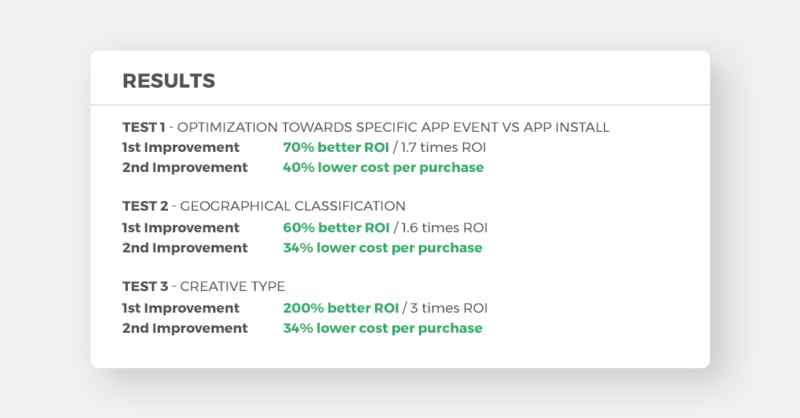 We utilized the results and insights gained from split testing to improve our future campaigns as well. Their advanced tools made it gave us the flexibility and control that we felt was necessary for stellar campaigns." NEXT: Slevomat - Personalising ads based on CRM data!